King's Church Little Lever regards the protection and safeguarding of children, young people and vulnerable adults and good working practice as a priority. 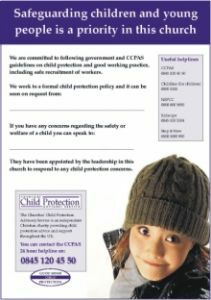 In the interests of the safety and well being of all it has developed and operates a formal safeguarding policy, which is registered with the Churches’ Child Protection Advisory Service. understands and follows the place of worship/organisations safeguarding policy. As part of this place of worship’s/organisation’s commitment to children, young people and vulnerable adults it has appointed John Seddon as Safeguarding Co-ordinator and Sarah Close as the Deputy Safeguarding Co-ordinator. All the children and young people and vulnerable adults involved in activities within the church know who they are and how they can be contacted. Should King's Church have any safeguarding concerns it will seek the advice of the Churches’ Child Protection Advisory Service and if appropriate contact the statutory authorities. King's Church is committed to the safeguarding of children and vulnerable adults and ensuring their well-being. We recognise that the personal dignity and rights of vulnerable adults and will ensure all our policies and procedures will reflect this. 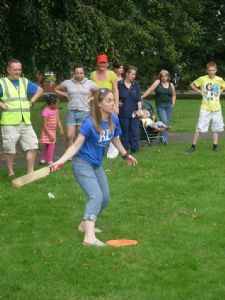 We believe all adults should enjoy and have access to every aspect of the life of the place of worship/organisation. We undertake to exercise proper care in the appointment and selection of those who will work with children and vulnerable adults. Following statutory and specialist guidelines in relation to safeguarding children and adults and will ensure that as a place of worship all workers will work within the agreed procedure of our safeguarding policy. Implementing the requirements of the Disability Discrimination Acts 1995 and 2005 and all other relevant legislation. Supporting all in the place of worship affected by abuse. Children’s Social Services has lead responsibility for investigating all allegations or suspicions of abuse where there are concerns about a child. Adult Social Care has lead responsibility for investigating all allegations or suspicions of abuse where there are concerns about a vulnerable adult. If you have any concerns for a child or vulnerable adult or in relation to any safeguarding matter then please speak to one of the Safeguarding Co-ordinators.